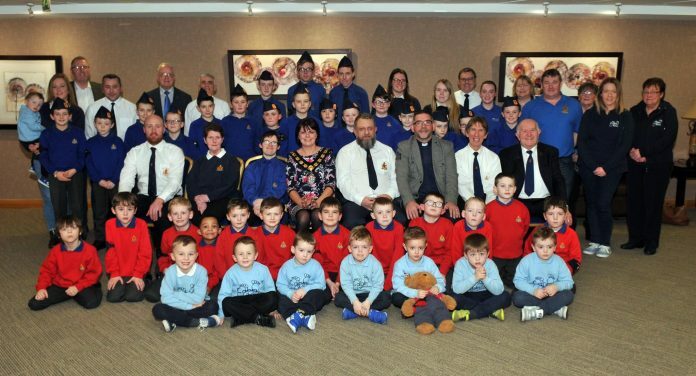 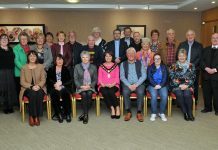 Lord Mayor of Armagh City, Banbridge and Craigavon, Councillor Julie Flaherty with the officers and members of Third Portadown, St Marks Parish Boys Brigade who attended the launch of their Centenary celebrations at Craigavon Civic Centre. 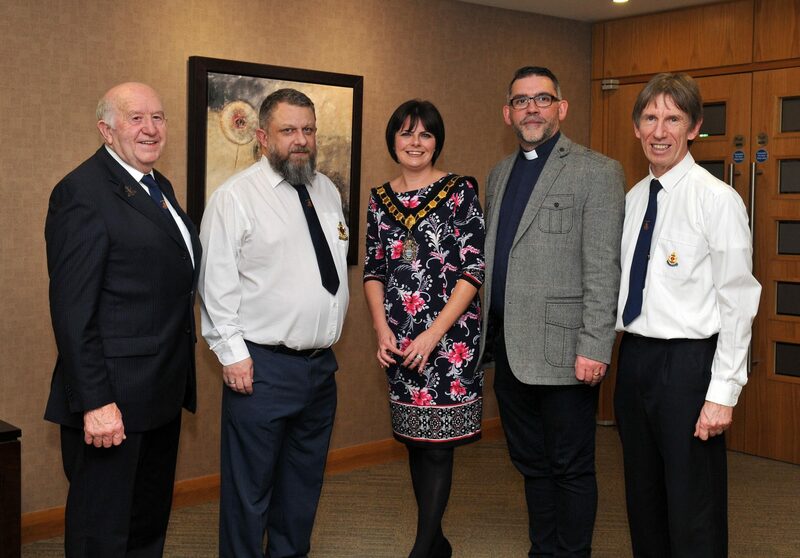 Included are, St Marks Rector, Rev William Orr, Company Captain Johnathon Trimble, Councillor Kenneth Twyble and Doug Beattie, MLA. 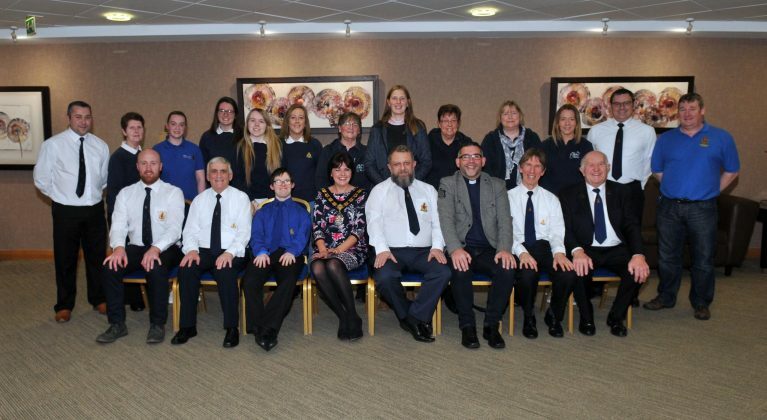 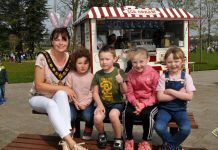 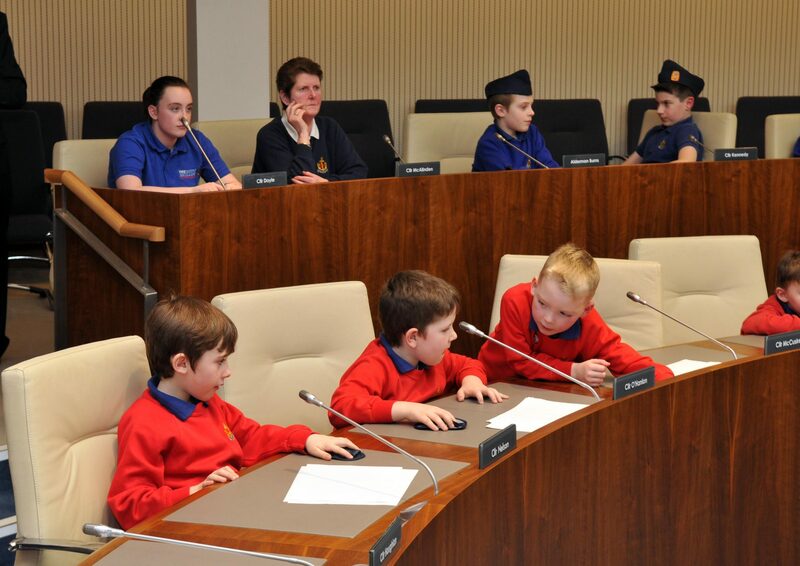 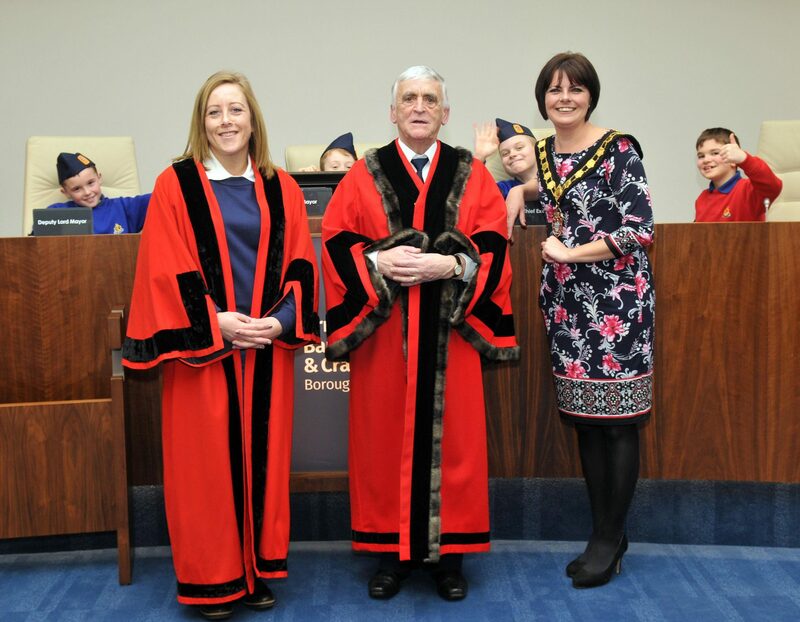 Lord Mayor of Armagh City, Banbridge and Craigavon, Councillor Julie Flaherty with the officers of Third Portadown, St Marks Parish Boys Brigade who launched their Centenary Celebrations at Craigavon Civic Centre. 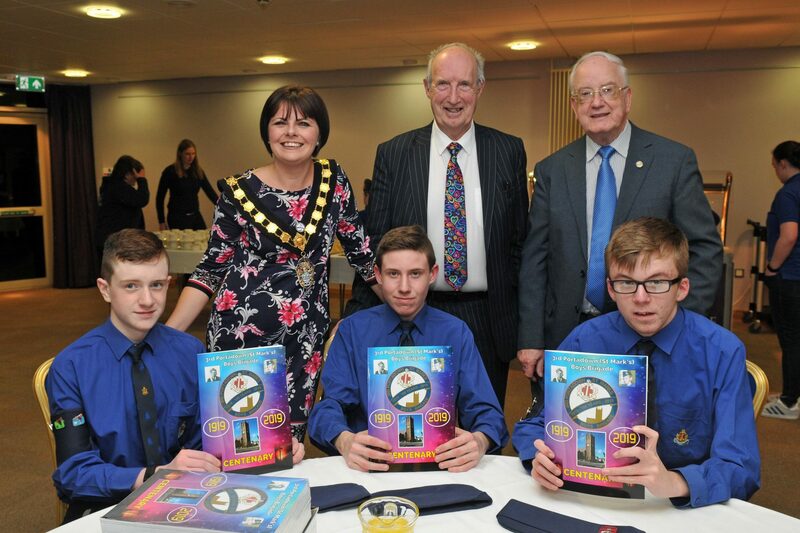 Lord Mayor of Armagh City, Banbridge and Craigavon, Councillor Julie Flaherty with Thomas Johnston, Past Captain 1961/69, Johnathon Trimble, Company Captain, Rev William Orr, and Paul Topley, Past Captain 1987/92, of Third Portadown, St Marks Parish Boys Brigade who launched their Centenary Celebrations at Craigavon Civic Centre. 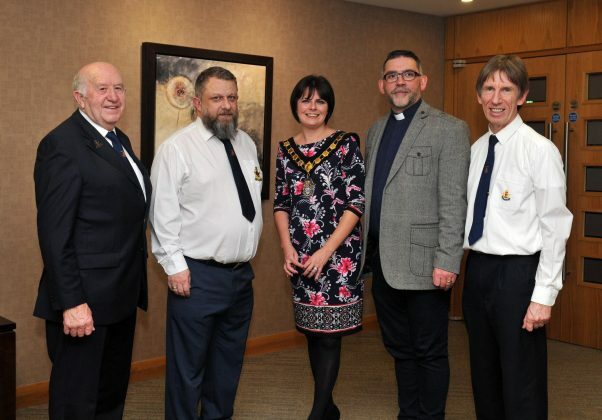 Lord Mayor, Councillor Julie Flaherty at the launch of the Centenary Celebrations for Third Portadown, St Marks Parish Boys Brigade with Alderman Kenneth Twyble, Rev William Orr, Johnathon Trimble, Company Captain and Doug Beattie, MLA. 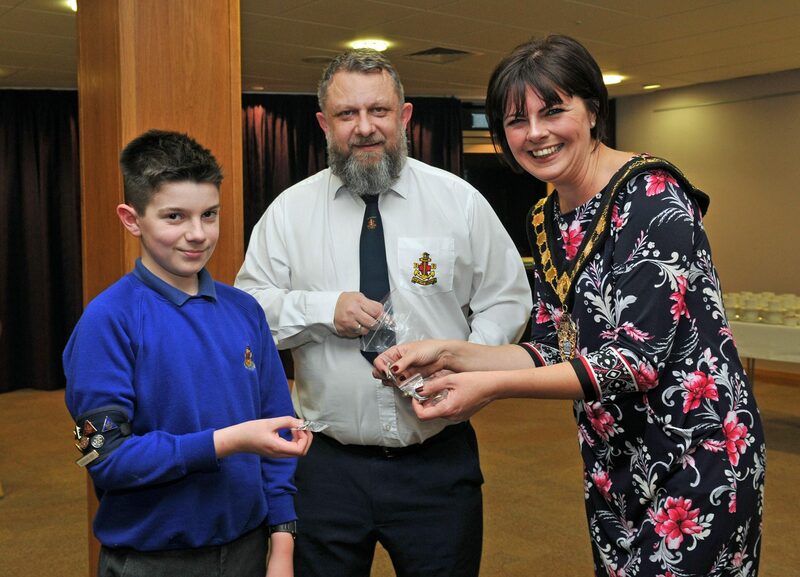 Myles Coulter receives his Centenary Badge from Lord Mayor, Cllr Julie Flaherty and Company Captain Johnathon Trimble. 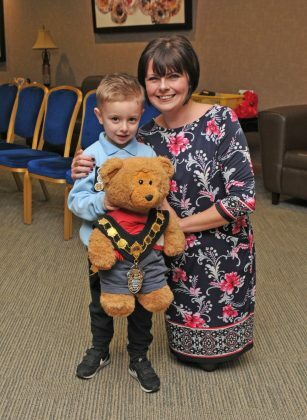 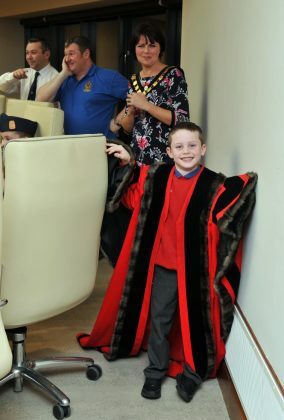 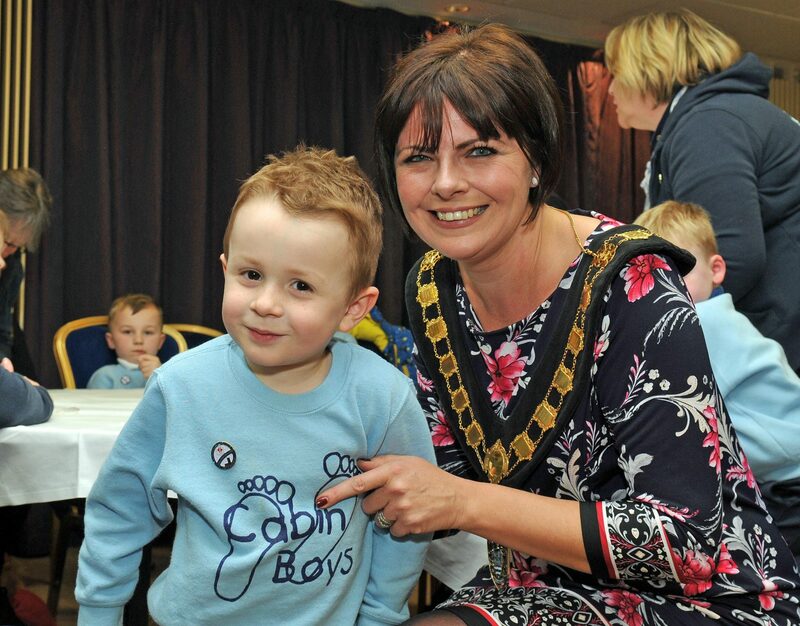 St Marks BB, Cabin Boy, Daniel Clarke (5) receives his Centenary Badge from Lord Mayor, Cllr Julie Flaherty. 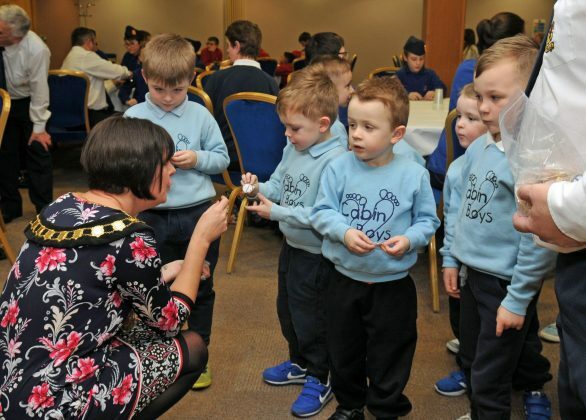 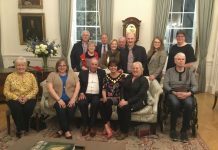 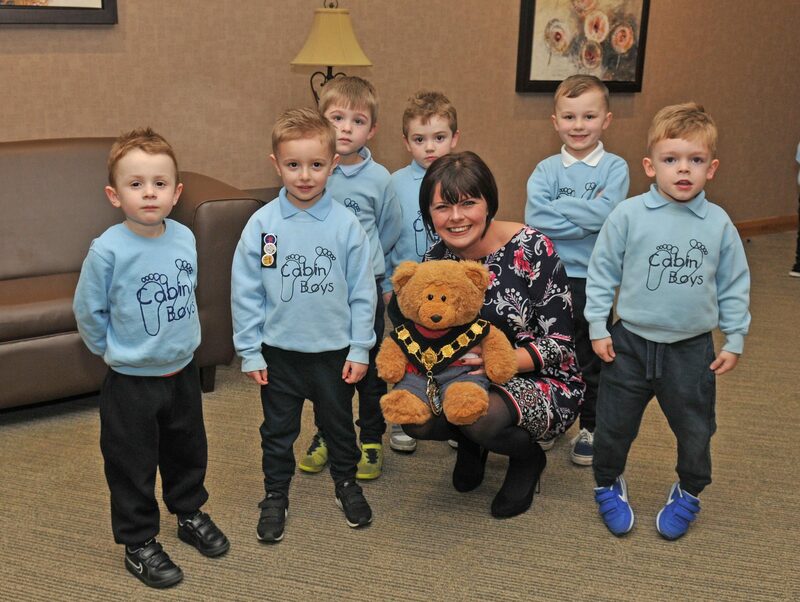 Lord Mayor of Armagh City, Banbridge and Craigavon, Councillor Julie Flaherty presents centenary badges to some of the Cabin Boys from St Marks BB. Lord Mayor of Armagh City, Banbridge and Craigavon, Councillor Julie Flaherty, Alderman Arnold Hatch and Alderman Kenneth Twyble with St Marks Boys Brigade members Harry Whitten, Richard Jamison and Noah Bullick who received their copy of the Third Portadown Company Centenary Book.